Contact Jason now by clicking on the RingMe button below. Please enter your phone number (including area code) and click Call. The system will call you first and then connect you with Jason. Are you looking for a piece of Rental Equipment but not sure what you need? Contact Jason. 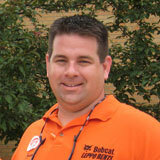 He can visit your job site and make recommendations for the Rental Equipment that will meet your needs. Click on the location pin for map detail and directions. You can also search for us at 411oil.com. 411oil.com is the Premier Oil & Gas Service & Supply Directory for Oil & Gas Professionals worldwide. It's integrated into a powerful, YET... user friendly Social Networking system available on your Desktop, iPhone & Android powered device.